The heart pumps blood around your body. When you are resting it beats slowly and when you are running it beats faster. 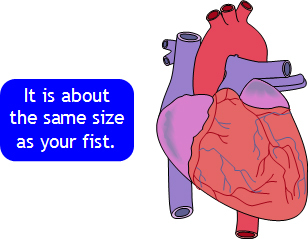 You can feel your heart beat or pulse by touching your wrist.